There’s a famous quote that goes, “when there’s a will, there’s a way”. This certainly applies to many challenges in life however for the growing market of poker players from Korea, those words are practically the code to live by. For more than half a century, there have been strict regulations on gambling in Korea and the game of poker happens to fall under that umbrella. With poker having infiltrated the Asian mainstream since 2008, and its popularity on a continuous incline, Koreans have joined the bandwagon, and despite the restrictions, they have found other means to fuel their poker drive. By law, all casinos in Korea prohibit local passport holders from entering the premises with the exception of Kangwon Land casino. Even if native poker players were to venture to Kangwon Land, Texas Hold ‘em is still not one of the games offered. The past two years has seen some changes though. The government has extended tremendous leeway by allowing major poker events to be held in the country such as WPTN Korea, APT Daegu, APPT Seoul, and other international poker events held at Jeju Island however the field is still limited solely to foreign nationals. The same restrictions apply to online poker sites with Korean players allowed to participate using only play money. Despite the regulations, Korean poker enthusiasts have found a way to bypass the law and breathe life into the game they love. Throughout the city of Seoul, there is a booming industry of “holdem bars”. Licensed as board game cafes, which is similar to internet cafes, there are usually 2-3 poker tables max with cash games running all day. Most of these establishments are well-lit, beautifully designed, and very tidy. Local authorities are aware of their existence however they have taken a more relaxed approach in shutting them down. Poker games may be underground and illegal but with the popularity and accessibility of holdem bars, they are certainly not experiencing that much heat. Another life breathing force for poker in Korea are the teaching seminars held primarily by two poker groups, Holdem Academy by Kevin Song and Holdem School by Jae Chul Chang. Due to the lack of poker material in the country, these seminars help introduce the game to newcomers who want to learn. These seminars aspire to promote and educate poker as a sport, removing the old notion of it being a game of pure luck and gambling. The organizers advertise these seminars through online chat sites and word of mouth. Sessions are held at a seminar hall once or twice a month and attract around 50-100 people. It costs roughly around $20-$100 per session, and is open to anyone interested. Two years ago, these seminars were unheard of. Although the underground poker scene is booming, there is no lobbying yet for poker’s legalization in Korea. Those who do try to promote the game publicly are met by government scorn. Because of this, it is of no surprise to see many poker national pros venture outside of their homeland to participate in the biggest tournaments offered all around Asia. 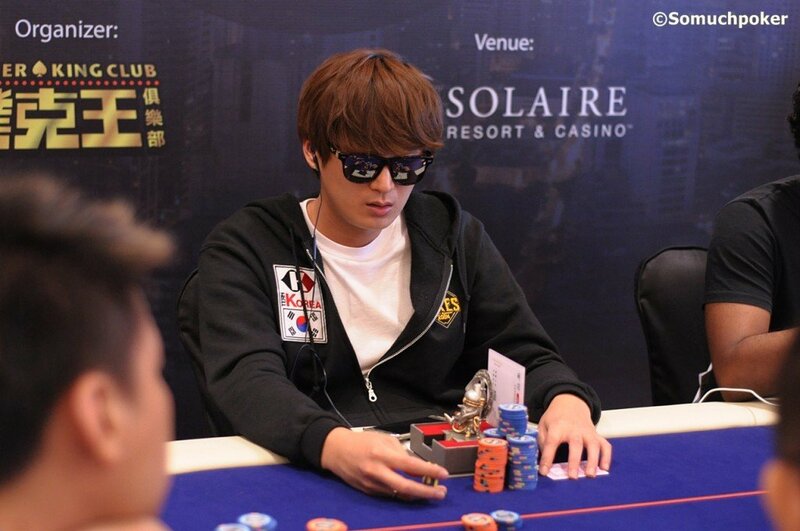 For the past few years, there has even been an influx of Korean players relocating to the Philippines where live poker games are easily accessible. On December 2015, several poker pros highly active in the Asian poker circuit banded together to form Team Korea and in a very short span of time, they surpassed 100 members with around 30 active in the live scene. Well-known poker pros such as Sim Jae Kyung aka Simba, SJ Kim, and Jae Wook Shin are a few of those who stand out having done well live or online. As it stands, poker is illegal in Korea and it may take some time before we will see any changes to the laws but with the underground scene booming, with seminars helping increase the knowledge of the game, and with pros seeking greener pastures outside of the country, poker for Koreans is very much alive and thriving despite the challenges.